The U.S. economy added 248,000 jobs to payrolls in September, marking the seventh time in the past eight months that employment has increased by more than 200,000. In addition, the level of employment in both July and August was revised up substantially. Employment growth in July, originally reported at 209,000, is now estimated at 243,000, and job growth in August is now reported at 180,000. The unemployment rate continues to decline. In September, it was 5.9% - the lowest level since July 2008. Once again, part of the reason for the decline was a decline in the labor force participation rate. At 62.7%, the labor force participation rate is at its lowest level since 1977. Employment in office-using industries increased by 105,000 jobs and now tops 30 million for the first time in history. More people than ever are working in offices. Remember the disappointment a month ago when the August employment report was released showing only 142,000 jobs were added? Forget it. Not only did employment growth bounce back strongly in September, but the level of employment in both July and August was revised upward substantially. The revisions, plus the new data, put employment growth for the 12 months from September 2013 to September 2014 at 2.64 million – the largest 12-month increase since April 2006. The September growth in employment was broad-based. There were large increases in jobs in professional and business services (+81,000), retail trade (+35,000), leisure and hospitality (+33,000), education and health (+32,000) and construction (+16,000). Construction employment is now at its highest level in more than 5 years as this sector continues to gradually recover from the housing collapse. Employment in the three main office-using sectors – financial services, professional and business services and information – shot up by 105,000 jobs, only the fifth time in the last decade that office-using employment has increased by more than 100,000 jobs in a single month. Employment in both financial services and information increased by 12,000 jobs each. The growth in information employment is significant. In the 10 months from July 2013 to May 2014, information employment fell by 43,000 jobs. But in the past four months, almost all those jobs have been recovered. As a result of this growth, office-using employment is now above 30 million in the U.S. for the first time in history. The unemployment rate declined from 6.1% to 5.9%. But as we have seen throughout this recovery, that improvement is somewhat misleading. The number of people unemployed did decline, but it was not offset by a similar number of jobs added. As a result, the labor force – the total number of people working or looking for work – fell for the second consecutive month. While the number of people in the labor force fell, the population increased. As a result, the share of the population active in the labor force, which is generally referred to as the labor force participation rate, fell once again. Since the recession began in 2008, the labor force participation rate has fallen from 66.2% to the current 62.7%. That is the lowest participation rate since 1977. This is a worrisome trend because it suggests that a lot of workers have dropped out of the labor force. That could be due to the aging of the baby boom generation. But it also indicates that there may be a lot of discouraged workers who would come back into the labor force if they perceived better employment prospects. It is also a bit puzzling given the acceleration in job growth of the past seven months. We would expect the participation rate to begin to rise in the coming year as the economy continues to grow at a strong pace. For the Federal Reserve, the available pool of discouraged workers that this data suggest is out there means that there is probably more slack in labor markets than the unemployment rate would indicate. Therefore, the pressure to raise interest rates is not as great as the unemployment rate alone would imply. Strong employment growth is, of course, a boon to the commercial real estate sector. 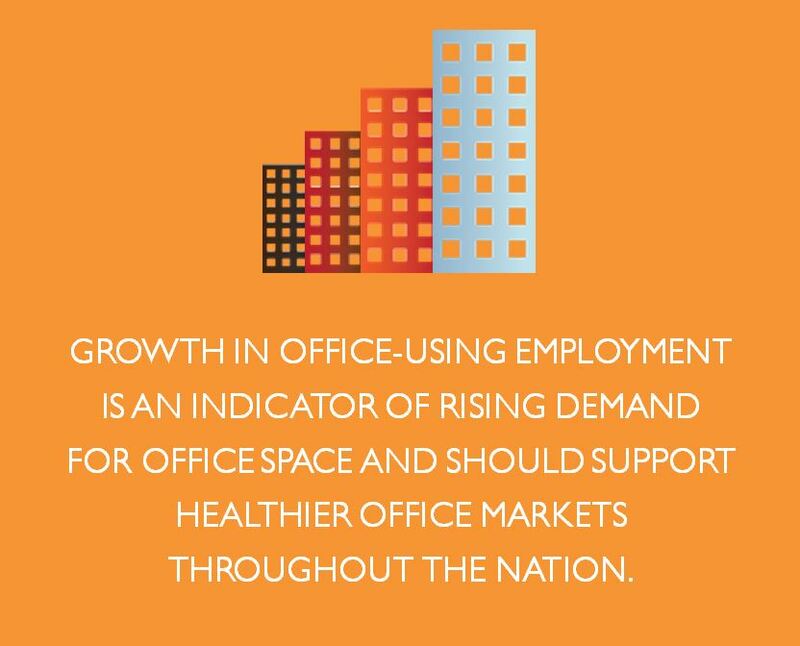 Growth in office-using employment is an indicator of rising demand for office space and should support healthier office markets throughout the nation. In addition, more jobs lead to more income and should support a continuing healthy expansion of retail sales, supporting both the retail and industrial sectors. 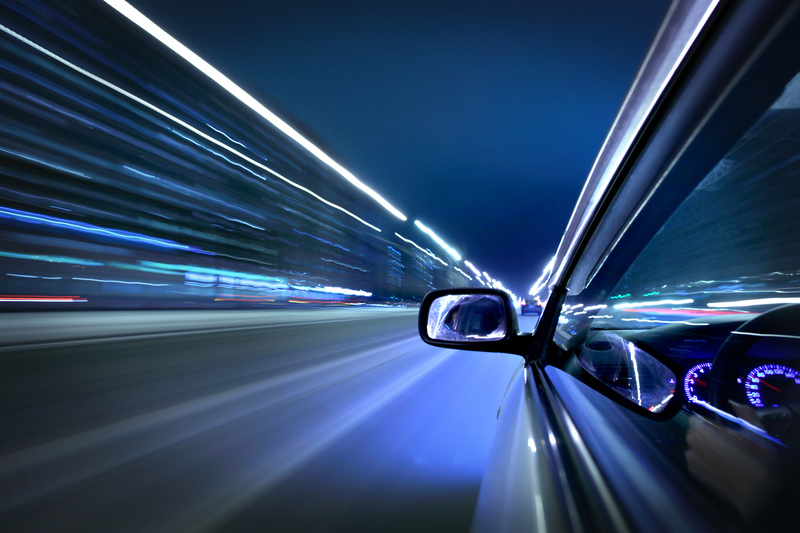 More jobs mean more business and leisure travel, which is positive for the hotel sector. And last, but surely not least, a healthier economy should stimulate more household formations, leading to greater demand for multifamily real estate. Overall, when the economy is strong and job growth is healthy, commercial real estate benefits. The economy is off and running. Businesses have shifted from defense to offense and are now more worried about growing the top line than about holding down costs. Since the weak, weather-impacted employment report of January 2014, the economy has added jobs at an annual rate of 2.8 million.That’s the kind of strong job growth that will keep the economy humming for the balance of this year and in 2015.